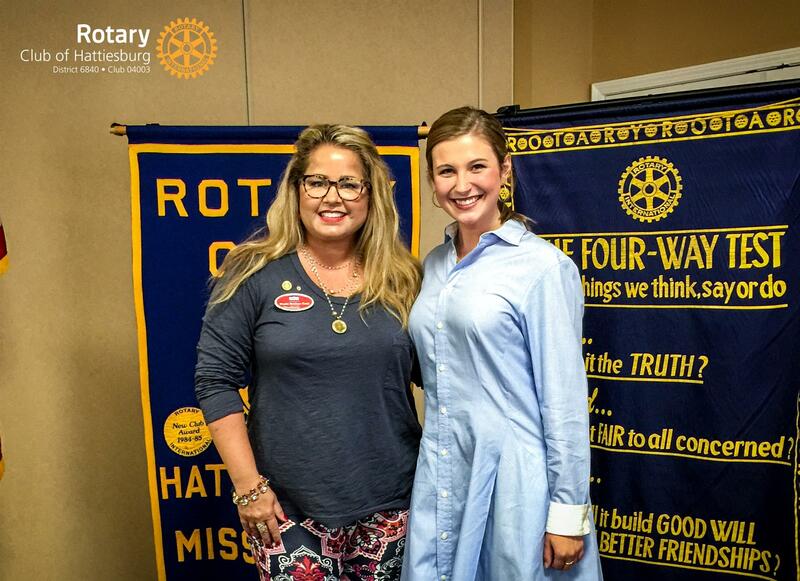 Many thanks to Ms. Anna Claire Mercer for speaking to our club last week! President Paula Brahan presided over the meeting. Thanks to Gene Owens who gave the invocation and to Mallory Donald who led us in the Pledge of Allegiance. Thanks to Shane Germany and Leanne Cross for serving as our greeters today. Today’s cash winner was Bill MacLauchlan. Paula reminded members to bring extra cash to future meetings and participate in the weekly cash give-away. Mike Ratliff then introduced today’s guests. Colby Sappington is a guest of Chrissy Yelverton. He has submitted a membership application which is currently under review. Chrissy also has Nancy Fairley, another prospective member, as her guest. Sean Priebe has Shawn Mercer as his guest and Hold McMullan has Charlie Lewis as his guest. Bill Dabney is a guest of the club and will be inducted as a new member in the next few days. 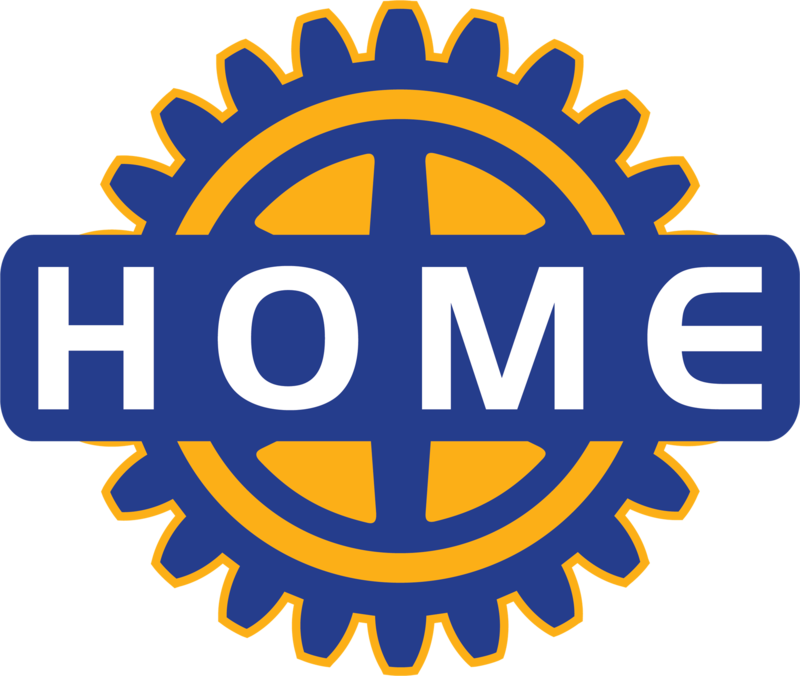 Paula reminded members that Jaclyn Adams is coordinating a club effort to obtain a number of items needed for the area homeless. You will find a list of the items in SPOKES. Please bring your donations to the club meeting where they will be stored and delivered at a later date. Paula also encouraged everyone to sign up for a committee position. There are a number of areas where you can serve the club and the community. Please consider adding your name to the list of those who can and will help. She also reported that the club has received a $312 grant which will be given to the United Richland Academy. A Kollege of Knowledge needs to be scheduled within the next couple of months. There are a number of red badge members who want to move up to blue badge status. Today’s guest speaker is Anna Claire Mercer. She is a junior political science major at USM and is involved in several leadership positions including the Kappa Delta Sorority where she is Vice President of Community Service. She was awarded the Dr. Eddie A. Holloway Outstanding Community Servant recipient for 2016-2017. Anna says it is unfortunately that Greek Life on university campuses has a bad reputation for hazing and alcohol abuse. A number of national tragedies have been reported extensively during the past few months. Although she admits that there are many areas where Greek Life could be improved, she maintains that the good done throughout a community is never mentioned by the media. As an example USM’s Kappa Delta organization has adopted Kids Hub locally and Mississippi Safe Children’s Center in Jackson. The KDs contributed more than $10,000 to these projects last year. All of that money was raised through a number of events sponsored by the sorority. The Delta Delta Delta sorority raised more than $100,000 last year for St. Jude’s. Two fraternity brothers biked across America increasing the awareness of the ARC organization. Anna maintains that Greek Life organizations help make better students and eventually better employees and citizens with more community awareness. They vote. They give of their time and talents and they help fund many projects across America. Greek Life students at USM currently have a 3.8 cumulative GPA. If a member’s scores drop below 3.0 the groups takes steps to help the member pull their grades up. The KDs at USM are small in number with approximately 120 members in the chapter. However, Anna maintains that they are large in their accomplishments. Less than 30% of the USM student body is a Greek Life member. However, Anna notes that if any males are looking for a good university, the men to women ratio at USM is 1 to 10. Anna says the next time we hear about all the bad that is going on in Greek Life to try and remember that these organizations do a great deal in their local communities and by belonging to a sorority or fraternity they students are given a channel to serve and a chance to build a life-long lasting community. Paula thanked our speaker today and with no other business or announcements she adjourned the meeting with our motto, “Service Above Self."